Up until now I had watched short snippets of ballet on TV before with my mom – The Red Shoes, and Swan Lake are two that come to mind. And I’ve been to a lot of plays and Broadway musicals. But was a full three hours of ballet – in a story from start to finish – live – what I expected? Mostly. Words to describe the experience: pleasant, mellow, very beautiful, impressive, repetitive, eye candy, and costume envy. Words that don’t apply: thrilling or mesmerizing, whohoo, transporting. First, to state the obvious: don’t go to a ballet with less than six hours of sleep. Especially if it was at friend’s suggestion, and this friend danced ballet until she was 15 years old, and really loved ballet. Even though I liked most of it, I would yawn, apologize, yawn, apologize. But I am glad I went with Carmen, not just for the ballet, but because she could explain some of the tradition about it. For instance, how often the music is usually created first, and then the dance, and that’s why often the dance steps repeat (they did – almost always each set of steps was done twice). About how traditional ballet usually starts off with the introductory sequences (and I would say also ‘sets up the romance’), then there’s usually drama in the second act, and then in the third act, things are solved, and celebrations end the ballet. 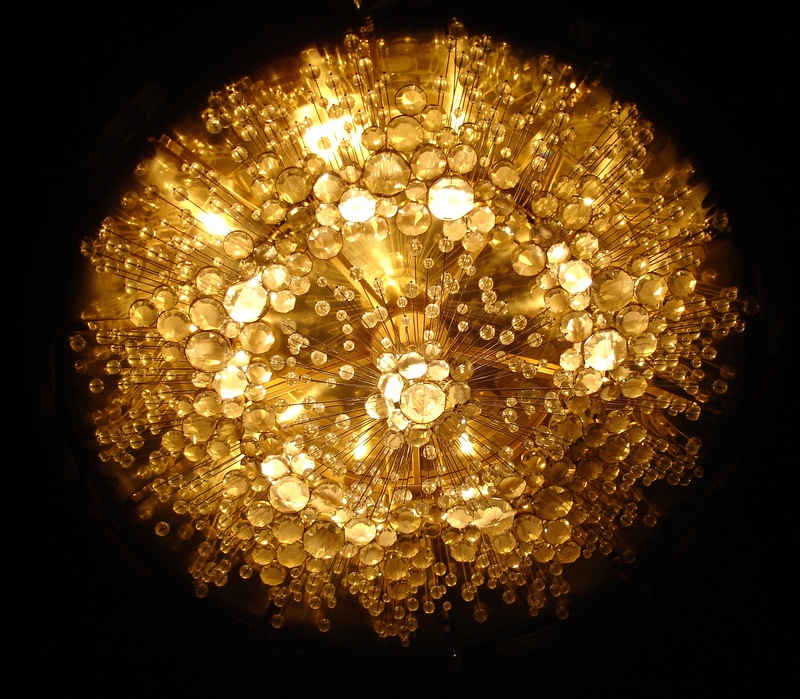 And how different American audiences act during the ballet – applauding after certain dance steps – which is not done in Europe or Russia, and how it takes new ballerinas from foreign countries off guard at first. Very handy information! 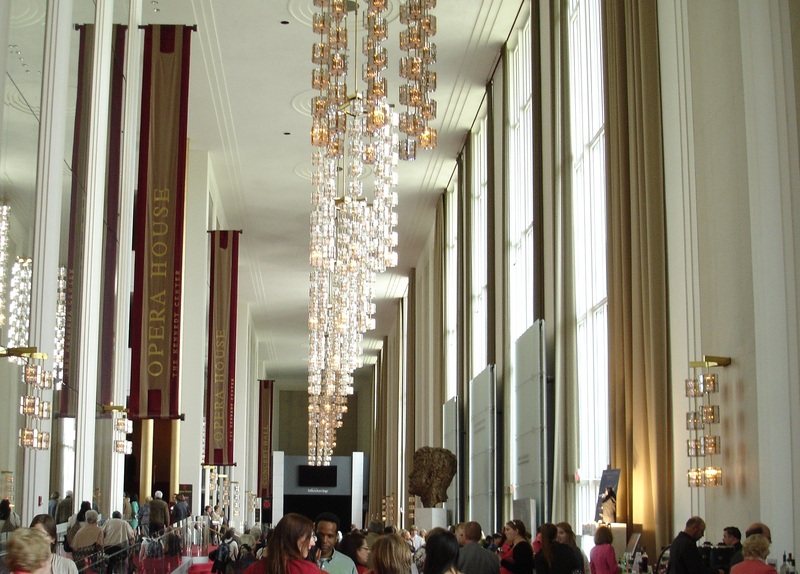 Outside the Opera House within the Kennedy Center. 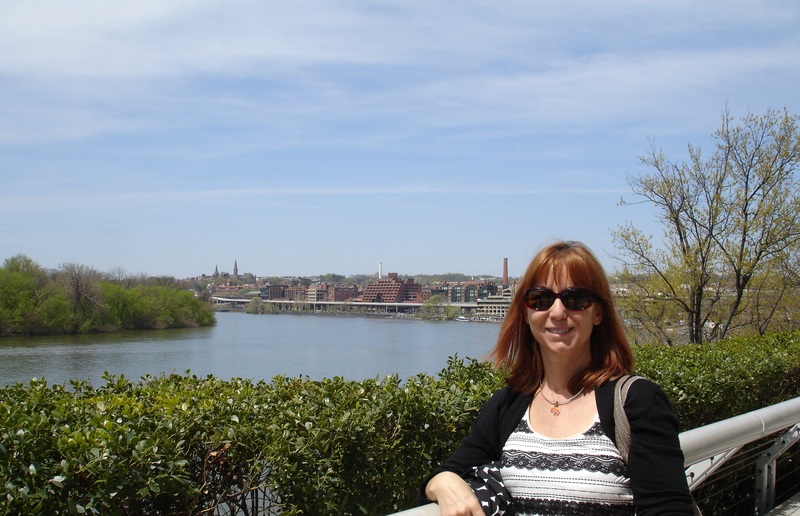 Carmen, and the view off the terrace of the Kennedy Center – looking towards Georgetown. So Carmen and I sat in the Orchestra section, as this was my first ballet after all – and I anticipated when I bought my tickets that it would be my last ballet as well, so we wanted good seats. Warning – tickets are not cheaper on Sunday matinees! It felt like watching ballet dancers in costume standing around to show their skill – which was often wonderful, but not enough to entice me to come back, I’m afraid. Carmen says that I should try modern ballet now for comparison. Maybe this fall? Next week, I have something the total opposite of ballerinas to watch – roller derby. Man, I can see how one would want to become a ballerina though – those dresses were to die for.